A distressed home is one that is either in foreclosure or for sale by the mortgagee. It is often in an advanced state of disrepair because of the owner’s financial situation. Distressed homes are most often reclaimed by the lender and put up for sale at a highly discounted price if not sold at auction. Sometimes if the house does not sell at auction, the lender will drop the price by up to 50% when it goes to market for the general public. If you are looking for a fixer upper be sure to watch out for these types of sales or auctions. However, be aware that regardless of your knowledge and skills, you may still end up in over your head with a home that has not been maintained. Before buying always be sure to go to the home and check it out. You may discover quickly that the price will not be worth the repairs that need to be made. Look for a realtor or cash house buyer that will buy your home, as-is with cash. It may be a little more difficult to find, but will take less of your time and may be able to help you get back on your feet faster. If you decide to go with a realtor you may have to deal with fees, and months or years of waiting on an offer. It is best to get rid of your home as fast as you can. There are things you should be aware of before you attempt to purchase a distressed or bank repossessed home. Always use a realtor: Realtors are used to dealing with these types of situations and can get you a home that not only fits your budget, but your needs as well; and they often have plenty to choose from. Make an offer quickly. Because these homes are often sold for half of their expected retail price, you will need to put an offer in quickly if you are serious about a home. They get snatched up fast. Get pre-approved by your lender. This will allow you to put an offer in before you fill out a mortgage application. When purchasing a distressed home repairs are a guaranteed expense. Be sure to get several estimates from various companies on how much these repair expenses will be. Always start with an offer below the asking price. The bank or auction will most likely raise the price, so you want to have a little wiggle room. If you can get a home for well below market cost, you may want to consider flipping (fixing the home) and reselling it on an open market. Many distressed homes don’t allow for inspectors to come through the home and estimate repair costs. 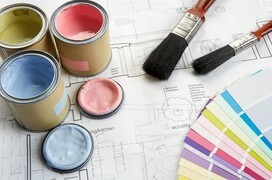 You could spend a little or a lot on home repair if you choose to go with a distressed home. Even if things don’t look bad, plumbing, electrical or even lighting, could be big issues with big costs. Maybe you are trying to sell your home for cash. There are also things to consider before taking your first offer. When you have purchased a home for cheap,there are a few ways to go about repairs. You can either hire a contractor or do-it-yourself. Both options have high risks. The first, of going way over your budget. The second, of doing things incorrectly and causing additional repairs or issues. Start in the Kitchen. Most people understand the kitchen is the heart of the home. Make small updates and keep it clean. Many home improvement stores sell faux stainless steel film that can help give your fridge, dishwasher or oven an updated look. New cabinet door handles, lighting and colors can help as well. Update appliances. If you feel you can’t get the stainless steel film correct the first time, it may be wise to order appliance doors that match the kitchen. Move to the bathroom. A new toilet seat or sink, can make a huge difference in the look and feel of your bathroom.Vinyl or new tiles can also help spruce up a bathroom and keep it looking fresh and clean. Closet and Storage Space – if storage space is small or limited, put up shelves, and hooks or look for ClosetMaid storage solutions. Paint is Important – Remember that simply updating the colors in your home and on your walls may dramatically improve the look and feel of your home as well. Try light, bright colors to help rooms feel bigger. These solutions are not only the inexpensive ones, but they can make a big difference in the price of your home when you want to sell. Consider these and other small upgrades to improve the value of your home. Freedom House Buyer is here to help if you are looking to sell your home fast.